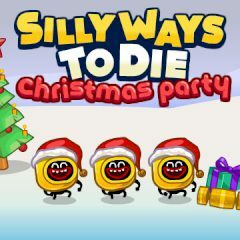 There are million silly ways to die, but Christmas has only the best. Play the game and see them yourself. Each level has a challenge you must complete quickly, or you lose one of your lives. Try to see what you have to do and use mouse to complete the level. Play Christmas Party Splash Art!